Construction sites can be a particularly dangerous place to work. General contractors are charged with the responsibility of keeping the workplace safe and to use every means possible regardless of cost to make sure that no workers are injured while on the job site. Unfortunately, they are not always successful. If you or someone you know has been injured while working on a construction site, you probably have a worker’s compensation claim and you may well have either a negligence claim or an Employer’s Liability Law claim against the general contractor or one of the subcontractors. It is important that you file the worker’s compensation claim immediately and it is also important that you pursue either the negligence claim or the employer liability law claim promptly as well. If you have suffered a significant injury as a consequence of the negligence of someone other than your employer or co-workers or the violation of a safety rule or regulation by someone other than your employer or co-workers, then you should promptly contact us so that we can investigate the possibility that there is a third party claim that arises from that negligence or failure to follow the safety rules or regulations. We will work hard to make sure that we will hold general contractors and subcontractors responsible for failing to use everything at their disposal to ensure your protection, provide safety devices, or take appropriate cautions to see that you are not injured. It is important to remember that this benefit is in addition to your worker’s compensation claim. If there has been an OSHA violation, failure to provide appropriate safety harnesses, sturdy scaffolding, appropriate respirators, fencing covers, and so forth; then they may well be a violation giving rise an Employer’s Liability Law EEL claim. 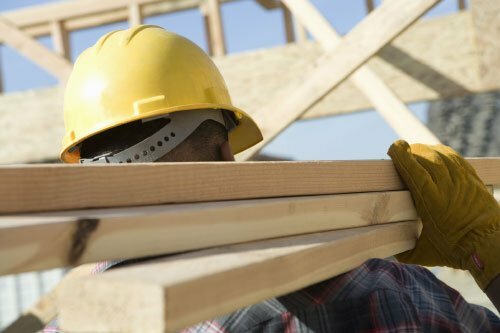 If you are injured in a construction accident and have questions about an Employer’s Liability Law claim and/or your worker’s compensation claim, please contact our Oregon law firm. We will provide free initial consultations and because we work on a contingency basis in all practice areas, you pay nothing if you do not prevail and recover damages.